The elopement will be taking place at a private estate with a stunning view of the California valley, just an hour north of San Francisco. Sara + I will be providing 4 hours of wedding day services with the option to turn this Elopement Experience into a weekend experience for your friends and family! 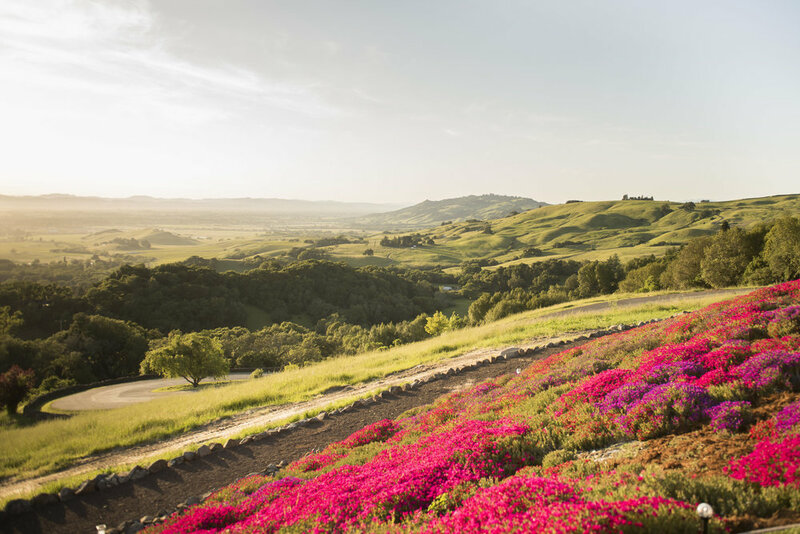 Sonoma County is one of California’s top food and wine destinations, home to more than 425 wineries. There are opportunities to hike among towering redwoods, cruise along rugged Pacific coastline and get to know inviting small towns. Or, just sit back and take it all in. Sara is the girl behind the details and the planning of your day. She has heart for design and loves to create a custom atmosphere that allows the simple beauty of the scenery to shine through with touches that only embellish it. And now, for the fun part—APPLYING! We ask that you only apply if you are seriously interested in this amazing opportunity. You must be flexible with your budget and the timing of this event. July-August 2019 only--week days or weekends! If you’re comfortable sharing your faces and recording a video, we’d love to hear from the both of you about why you think you’d be a great fit for this opportunity! Let us know you’ve applied and send a little video to this email: info@courtneydueppengiesser.com ! After you apply— if we’re interested, we’ll reach out, sending you a PDF jam packed full of all the info that you need to know!